PARIS, France – September 15, 2008 – Blizzard Entertainment, Inc. announced today that World of Warcraft: Wrath of the Lich King, the second expansion for its award-winning subscription-based massively multiplayer online role-playing game (MMORPG), will arrive in stores on November 13 in North America, Europe, Mexico, Argentina, Chile, and Russia, and November 14 in Australia, New Zealand, Singapore, Malaysia, and Thailand. The expansion will be available in Korea and the regions of Taiwan, Hong Kong, and Macau on November 18. Details regarding the launch of Wrath of the Lich King in mainland China will be announced at a later date. 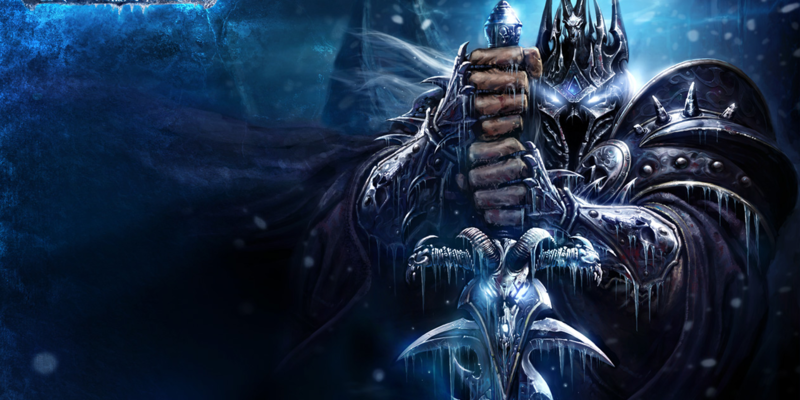 World of Warcraft: Wrath of the Lich King sends players to the cold, forbidding continent of Northrend, where the fearsome Lich King Arthas Menethil, last seen in Warcraft® III: The Frozen Throne®, works from his secluded citadel to bring all of Azeroth under his twisted dominion. Players will battle the Lich King’s undead army from the shores of Howling Fjord and Borean Tundra to the seat of his unholy power in Icecrown Glacier. In addition, players will be able to advance characters to level 80 and gain powerful new abilities while exploring several new zones and dungeons. The expansion also introduces a number of exciting new features, including an achievement system, expanded player-vs.-player combat options such as siege weapons and destructible buildings, and the game’s first Hero class — the necromantic death knight. Two World of Warcraft Trading Card Game March of the LegionT starter decks, along with two exclusive cards available only in the Collector’s Edition. The Wrath of the Lich King expansion requires the original World of Warcraft game, available now for a suggested retail price of 14.99 ?, along with World of Warcraft: The Burning Crusade?, which sells for 14.99 ?. These two products are combined in the World of Warcraft Battle Chest®, available for 29.99 ?. World of Warcraft: Wrath of the Lich King has received a 12+ rating from PEGI. Since launching in November 2004, World of Warcraft has become the world’s most popular MMORPG, with more than 10.9 million subscribers. The game’s first expansion, The Burning Crusade, broke PC-game sales records in North America and Europe by selling nearly 2.4 million copies in its first 24 hours of availability and approximately 3.5 million copies in its first month. For more information on World of Warcraft: Wrath of the Lich King, visit the official website at www.wow-europe.com/wrath. With multiple games in development, Blizzard Entertainment has numerous positions currently available. Visit eu.blizzard.com/en/jobs/ for more information and to learn how to apply. Best known for blockbuster hits including World of Warcraft and the Warcraft, StarCraft®, and Diablo® series, Blizzard Entertainment, Inc. (eu.blizzard.com/en/), a division of Activision Blizzard (NASDAQ: ATVI), is a premier developer and publisher of entertainment software renowned for creating some of the industry’s most critically acclaimed games. Blizzard Entertainment’s track record includes ten #1-selling games and multiple Game of the Year awards. The company’s online-gaming service, Battle.net®, is one of the largest in the world, with millions of active users. international economic, financial and political conditions and policies, foreign exchange rates, integration of recent acquisitions and the identification of suitable future acquisition opportunities, Activision Blizzard’s success in integrating the operations of Activision Publishing and Vivendi Games in a timely manner, or at all, and the combined company’s ability to realize the anticipated benefits and synergies of the transaction to the extent, or in the timeframe, anticipated. Other such factors include additional risk factors identified in Activision Blizzard’s most recent annual report on Form 10-K and any subsequent quarterly reports on Form 10-Q. The forward-looking statements in this release are based upon information available to Blizzard Entertainment and Activision Blizzard as of the date of this release, and neither Blizzard Entertainment nor Activision Blizzard assumes any obligation to update any such forward-looking statements. Forward-looking statements believed to be true when made may ultimately prove to be incorrect. These statements are not guarantees of the future performance of Blizzard Entertainment or Activision Blizzard and are subject to risks, uncertainties, and other factors, some of which are beyond its control and may cause actual results to differ materially from current expectations.